Upon opening an account with Advanced Markets, information is collected that adhere to our AML/KYC polices. This may include Addresses, Phone Numbers, DOB, Financial Information, Occupation, Business, Government Identification cards/Issued ID numbers/Passports and, other publically/non publically held information. This information is used to verify identity of Advanced Markets Clients, Introducing Brokers. Information is also use to ensure proper funding and withdrawals information. Information may be obtained in electronic, or hand written format. Advanced markets will retain all identification records for 5 years after the account is closed. Data is deleted after this time. AM shall protect the confidentiality of Clients’ written and electronic records and other sensitive information. AM employees shall take reasonable steps to ensure that Clients’ records are stored in a secure location and that Clients’ records are not available to others who are not authorized to have access. AM shall take precautions to ensure and maintain the confidentiality of information transmitted to other parties through the use of computers, electronic mail, facsimile machines, telephones and telephone answering machines, and other electronic or computer technology. Disclosure of identifying information should be avoided whenever possible. AM shall not disclose any nonpublic personal information about its prospective, existing or former Customers to anyone, except as permitted by law and regulation or under certain limited circumstances more fully described below. AM shall restrict access to nonpublic personal information regarding its Clients to those employees and agents of AM who need to know that information in order to provide services to its Customers. AM may also disclose such information to its affiliates and to service providers and financial institutions that provide services to AM. In such cases, AM shall require such third party service providers and financial institutions to protect the confidentiality of the Customers’ nonpublic personal information and to use the information only for purposes for which it is disclosed to them. 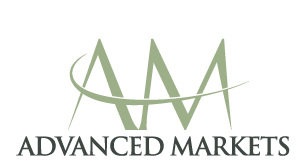 AM maintains physical, electronic, and procedural safeguards that comply with federal standards to safeguard the Customers’ nonpublic personal information and which AM believes are adequate to prevent unauthorized disclosure of such information. AM may disclose confidential information only when the appropriate with valid consent from a Client or a person legally authorized to consent on behalf of a Client or as required by applicable laws and regulations. Upon Request, AM shall discuss with a Client and other interested parties the nature of confidentiality and limitations of Client’s right to confidentiality. AM shall review with Clients, circumstances where confidential information may be requested and where disclosure of confidential information may be legally required. This discussion should occur as soon as possible in the employee-client relationship and as needed throughout the course of the relationship. AM shall not disclose confidential information to third-party payers unless Clients have authorized such disclosure. AM shall not discuss confidential information in any setting unless privacy can be reasonably ensured. AM shall not discuss confidential information in public or semipublic areas including, but not limited to, hallways, waiting rooms, elevators, and restaurants. AM shall not disclose identifying information when discussing Clients for teaching or training purposes unless Client has consented to disclosure of confidential information. Clients are not required to supply any of the personal information that AM may request; however, failure to do so may result in AM being unable to provide services request by such Clients. While AM make every effort to ensure that all information AM hold about Clients are current, accurate, and complete, Clients can help AM by prompt notice to AM if there are any changes to Client’s personal information. Should there be a data breach, Advanced Markets will notify you within 72 hours. As information governance practices develop and data privacy laws change, we may need to revise this policy. Should any changes be materially relevant to your data information, we will provide you a more prominent notice or contact you directly with new information.